Flyer for the National PE Institure 2015. 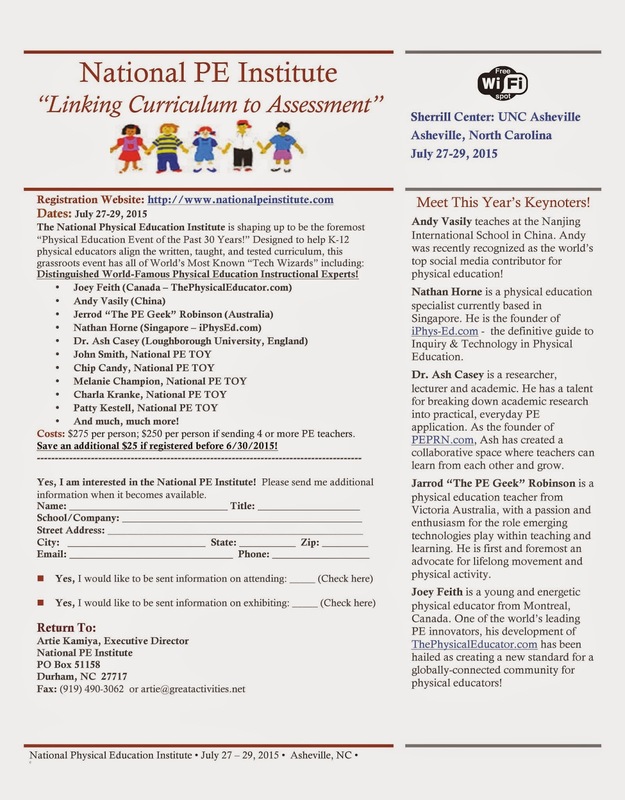 Download the flyer for the National PE Institute 2015 Flyer. Labels: National PE Institute 2015, National PE Institute.